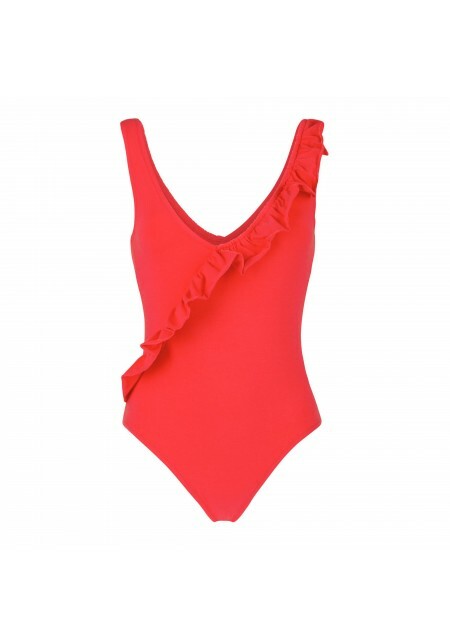 A trendy swimsuit in organic cotton! More than swimwear, our one-piece swimsuits reflect a beach culture that is both ultra chic and environmentally friendly. Our elegant designs feature original details, such as ruffles, and sophisticated and sensual cuts, such as plunging necklines. Our swimsuits are ideal for any occasion, from a casual poolside party to a black-tie soirée on a faraway island! In playful colours and beautiful fabrics, all our designs reflect our high fashion standards and our commitment to the environment. All of our swimsuits are made from GOTS-certified organic cotton.